The Blue Mountains and Scenic World deliver plenty of surprises this year. While it is only an hour’s drive from Penrith, stepping out into the crisp icy air of Katoomba really does feel worlds away from home. From old school shop fronts, to boutique cafes and antique dealers, the classic time warp is an experience in itself, so it’s safe to say staying at the Carrington Hotel was exactly the grand 19th century setting I predicted it to be. From magnificent detailed ceilings, to elegant dining and luxury suites, the Carrington has truly been restored to its former character and glory. And of course, the number one destination for any tourist travelling to the Blue Mountains is The Three Sisters. Admittedly, I had not visited the Sisters, or Scenic World, since I was a child, so to see it now as an adult, was a captivating experience, one that I may not have truly appreciated until now. Scenic World has undergone some serious renovations and upgrades from the last time I was here. To say it is a booming tourist hotspot is an understatement. To access the forest I boarded the Scenic Cableway, a new $4 million addition to the park, which descends 545 metres into the valley, offering a unique vantage point for viewing the Sisters. 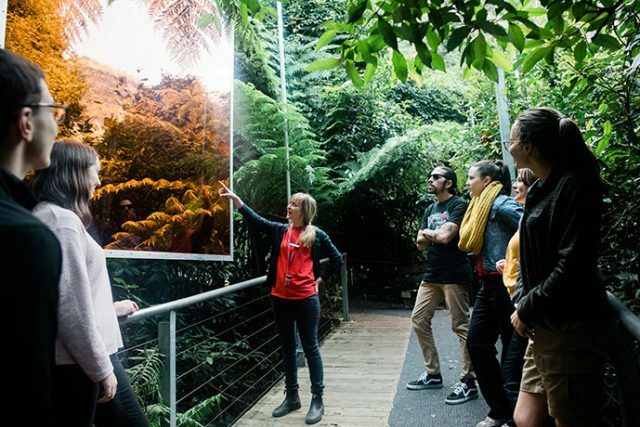 For me, there’s something about the picturesque views of the Blue Mountains that makes you stop and think, and the current exhibition ‘Sculptures at Scenic World’ mirrors just that, with a mesmerising forest escape displaying some truly innovative and thought provoking pieces. As an art lover, I was completely taken aback by the bold and metaphoric works, reflecting real life issues such as violence, poverty, and climate change. Even my partner, who may consider himself a philistine when it comes to the arts, was to my surprise intrigued and enjoying every minute of the 2.4km exhibition walk. I definitely recommend taking a guided tour, as hearing the background story to the pieces really allows them to come to life. One piece in particular that I admired was a life-size waterfall made completely from recycled pallet wrap plastic. 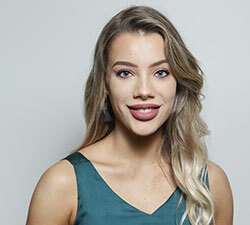 The confronting piece by Elizabeth West wants individuals to consider their relationship with plastic and the effect it has on the environment. 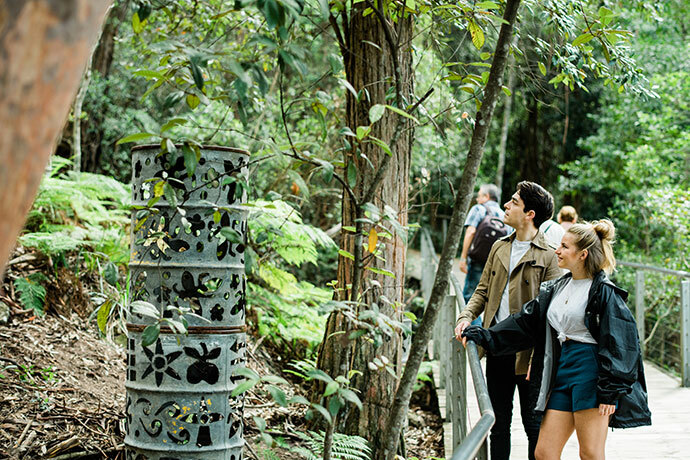 Now in its eighth year, ‘Sculptures at Scenic World’ really is a great way to unplug and take in your surroundings. There are a number of tours and activities for both adults and children as well as the Scenic Railway, Cableway and Skyway, which really needs two days if you want to get everything out of the experience. 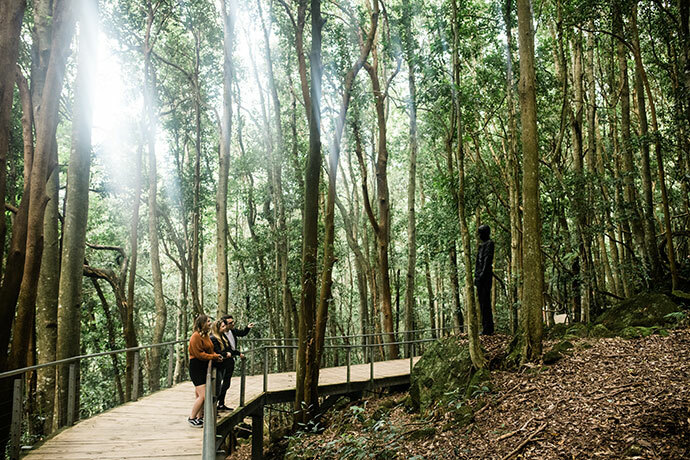 ‘Sculptures at Scenic World’ is a must-see this season, even if you aren’t an art enthusiast. 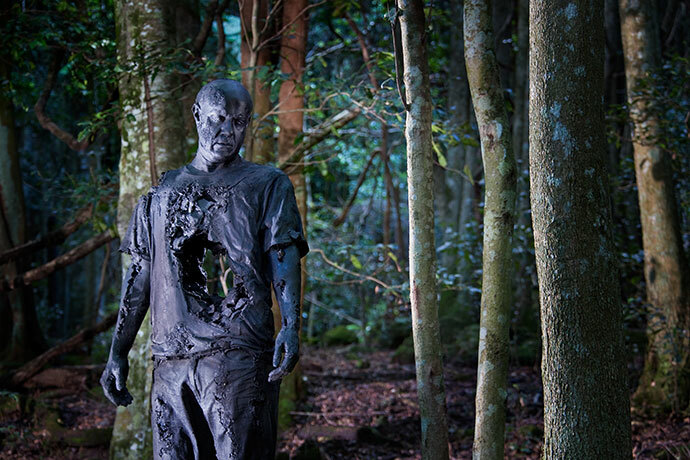 ‘Sculptures at Scenic World’ runs until May 12. Nicola Barton stayed in the Blue Mountains as a guest of Scenic World.